Give your branding a boost. Quickly gather meaningful insights to create better brand identities. Demonstrate value and justify cost with a proven process. 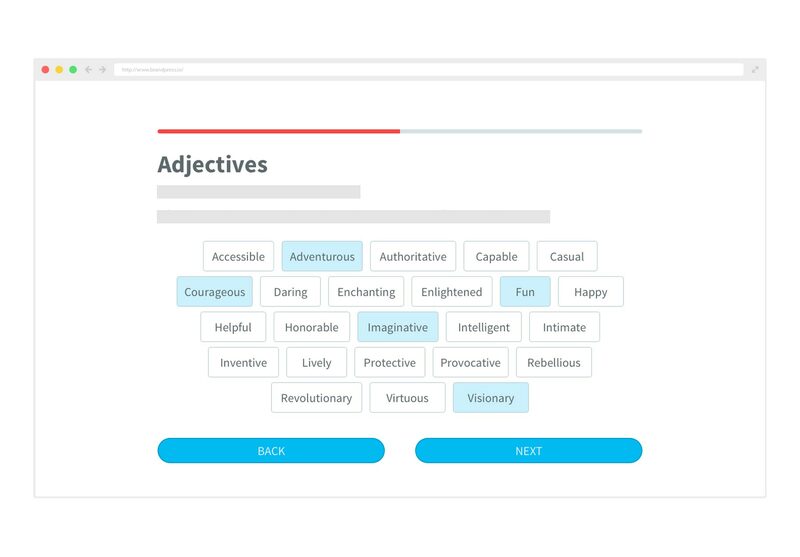 The exercises in the Brandpress are designed to pinpoint the personality traits your clients may find difficult to express. The Brandpress identifies your client's brand persona quickly so you can worry about everything else you need to do. Get your client's started with a unified voice and brand message based on the direction of their own brand persona. Based on years of research and practice. All the exercises in the BrandPress are carefully constructed upon principles of psychology and founded on years of industry research and practice, thereby increasing the likelihood of generating an emotional response from your target audience. Defining a rich and authentic brand. Several exercises employ powerful metaphors to help you extract a persona that will resonate with your target audience, allowing you to have a higher level of influence. All while remaining true to the integrity and authenticity of your company. It only takes a few minutes to get started. Created by Galeano Creative ©2018. All Rights Reserved.